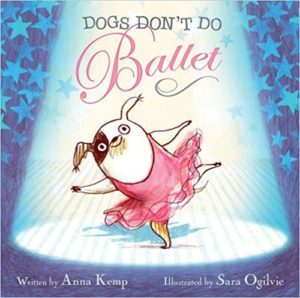 Girl loves dog, dog loves girl, and they both love ballet. Will the unlikely ballerina ever get her moment on the stage? This story is a nice introduction to the idea of challenging stereotypes by asking children to consider how they would feel if they were told that they were not allowed to do something that they love just because other people thought they weren’t supposed to do it.